"THE VOICE NIGERIA" TALENT SHOW AUDITION DATES. 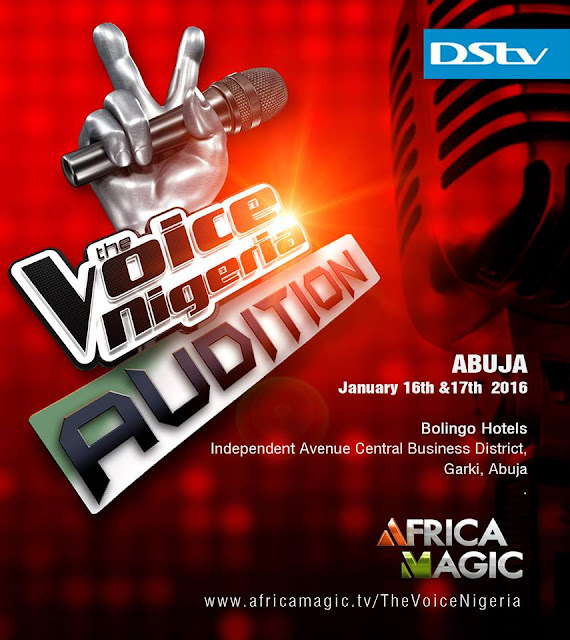 Africa Magic Presents The Voice Nigeria Singing Competition. This highly anticipated singing competition will be holding auditions in Lagos, Abuja, Port Harcourt and Calabar in January 2016! Are you ready to sing your hearts out?! It’s an opportunity of a life time!